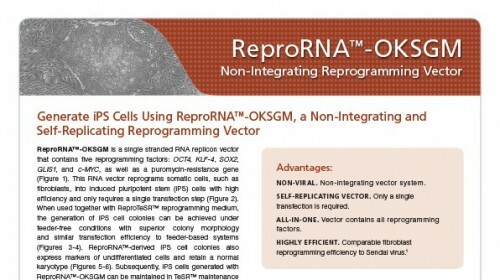 ReproRNA™-OKSGM is a single-stranded RNA replicon vector that contains five reprogramming factors: OCT4, KLF-4, SOX2, GLIS1, and c-MYC, as well as a puromycin-resistance gene (Figure 1). 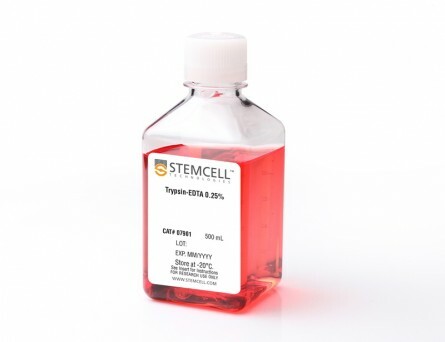 This RNA vector reprograms somatic cells, such as fibroblasts, into induced pluripotent stem (iPS) cells with high efficiency and only requires a single transfection step (Figure 2). 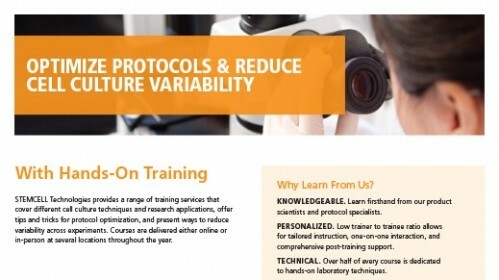 When used together with ReproTeSR™ reprogramming medium, the generation of iPS cell colonies can be achieved under feeder-free conditions with superior colony morphology and similar reprogramming efficiency to feeder-based systems (Figures 3 - 4). 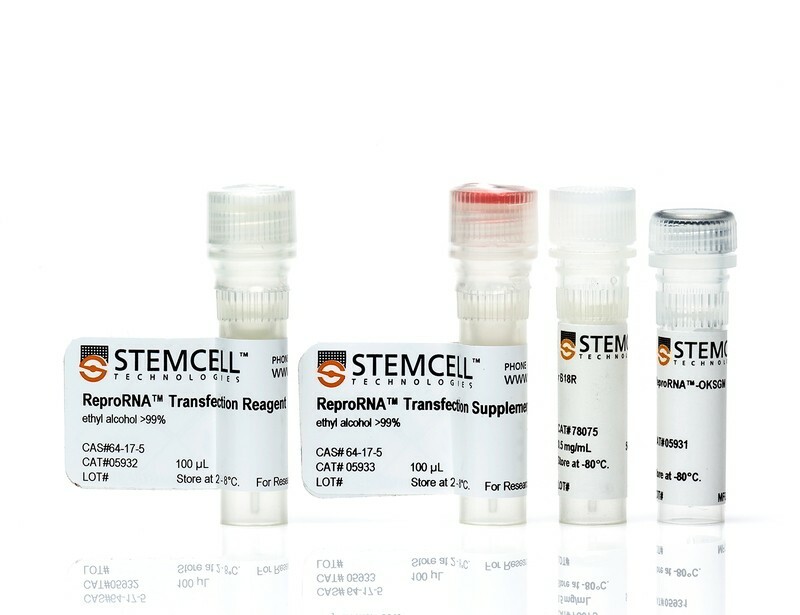 ReproRNA™-derived iPS cell colonies also express markers of undifferentiated cells and retain a normal karyotype (Figures 5-6). Subsequently, iPS cells generated with ReproRNA™-OKSGM can be maintained in TeSR™ maintenance media (mTeSR™1, TeSR™2, or TeSR™-E8™) and further differentiated into cells of all three germ layers (Figure 7). 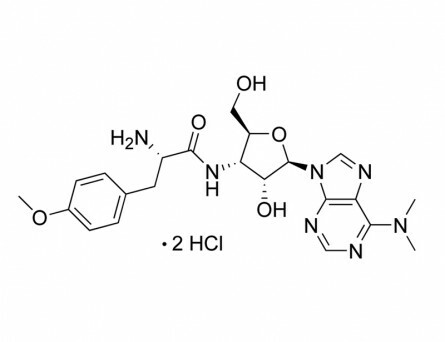 Somatic cells are transfected with ReproRNA™-OKSGM at day 0, and cultured in Advanced DMEM (AdvDMEM) with puromycin. 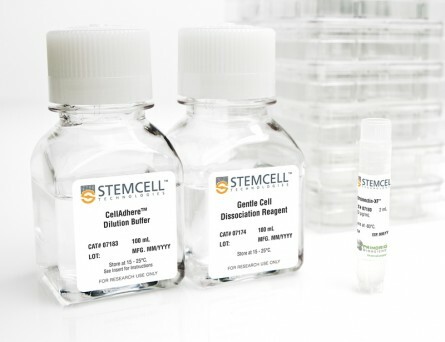 After 6 days of puromycin selection post-transfection, cells are cultured in ReproTeSR™ for the remainder of the reprogramming induction phase until iPS cell colonies emerge. 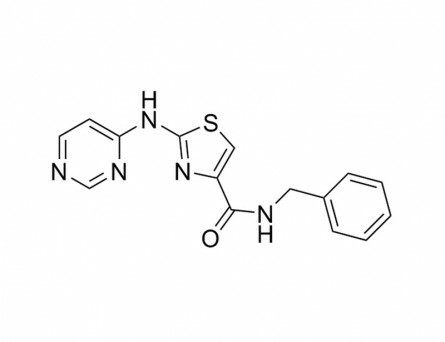 B18R recombinant protein is also added during the first 2 weeks after transfection to inhibit the interferon response and increase cell viability. 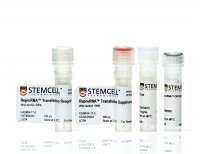 Typically, by day 20, iPS cell colonies are large enough to be isolated and propagated in TeSR™ media. *TeSR™ = TeSR™ family media (mTeSR™1, TeSR™2, TeSR™-E8™). 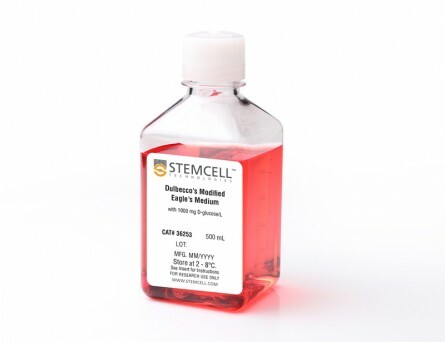 Dermal fibroblasts were transfected with the ReproRNA™-OKSGM vector and reprogrammed under feeder-dependent (standard KOSR-containing hES cell medium on irradiated mouse embryonic fibroblasts (iMEFs)) or feeder-independent conditions (ReproTeSR™ on Corning® Matrigel®). Fibroblasts (passage 4) were reprogrammed with average efficiencies of 0.10 ± 0.03% (hES cell medium) and 0.20 ± 0.01% (ReproTeSR™). Reprogramming efficiency of fibroblasts with ReproRNA™ and ReproTeSR™ is comparable to that reported with Sendai virus.¹ (n ≥ 6; Data shown are mean ± SEM). 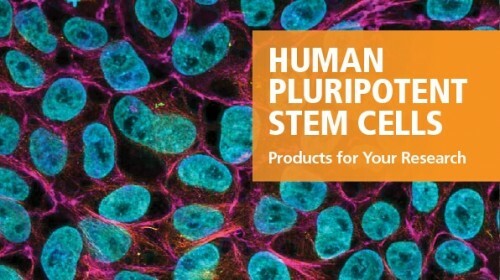 Human iPS cells generated with ReproRNA™-OKSGM display high expression of undifferentiated cell markers (OCT4 and TRA-1-60) as shown by flow cytometry analysis after 12 passages in mTeSR™1. (Filled histogram = sample, hollow histogram = secondary antibody only). Karyogram of iPS cells derived with ReproRNA™-OKSGM and cultured in mTeSR™1 for 8 passages shows that a normal karyotype is retained. 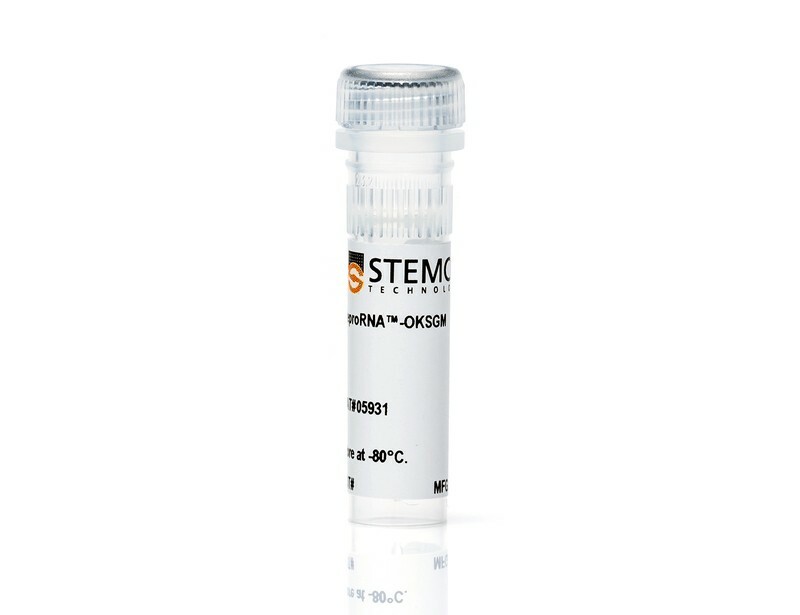 Human iPS cells derived with ReproRNA™-OKSGM and maintained in mTeSR™1 for 7 passages were differentiated into cells of the three germ layers. 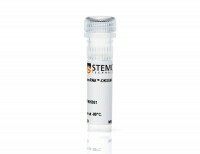 Endoderm specification was achieved using the STEMdiff™ Definitive Endoderm Kit and flow cytometry analysis shows a high percentage of cells (98.7%) positive for endoderm markers (CXCR4+SOX17+). 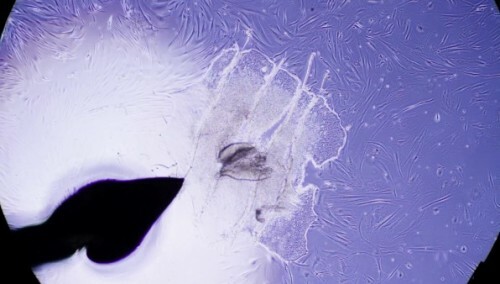 Mesoderm induction was achieved with STEMdiff™ Mesoderm Induction Medium as shown by the high percentage of cells (98.6%) expressing Brachyury (T). 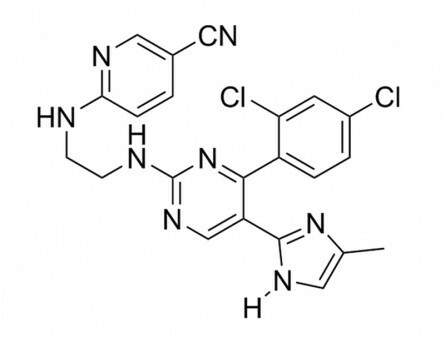 Ectoderm specification was demonstrated using STEMdiff™ Neural Induction Medium. CNS-enriched NPC cultures expressing PAX6 (green) and stained with DAPI (blue) are shown.